International Wire & Cable specializes in custom printed tubing, shrinkable or non shrinkable. 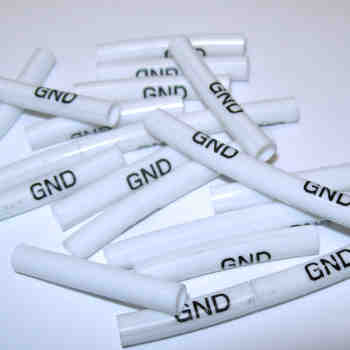 We can print letters, numbers, bar codes and images onto shrink tube in low or high volumes. We can print in sets and also have the tube perforated for ease of use allowing you to create the exact length of marker you want without waste. Diameters from 3/64 of an inch to 2 inches are available with shrink ratios of 2:1 and 3:1. Tubing and marking ribbons come in multiple colors, giving you countless possibilities for customizing and color-coding your product.